First, I took a look at Today is Election Day by Catherine Stier, illustrated by David Leonard. 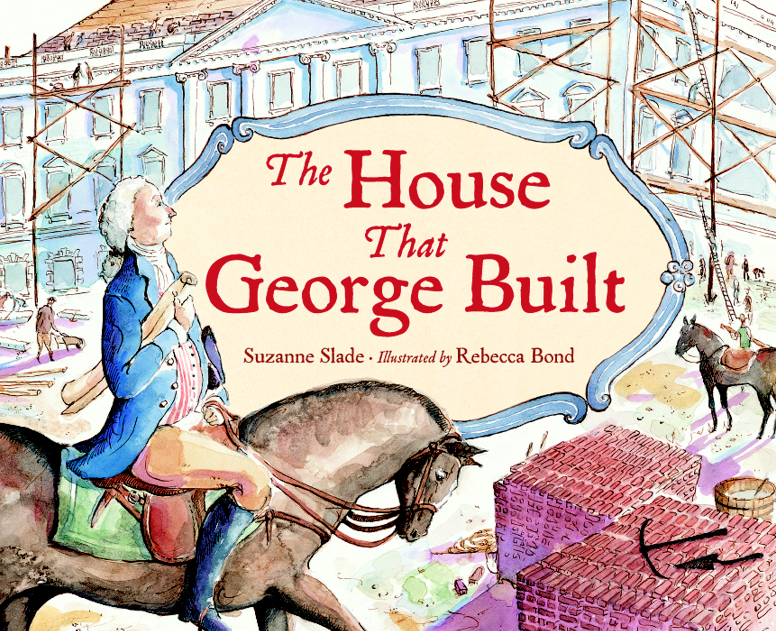 The book’s format is interesting because several students introduce the topic of Election Day the first few spreads (using the pronoun “we.”) As the story continues, various students explain their individual observations about Election Day by sharing experiences of older relatives who can vote such as a brother, grandpa, and aunt. 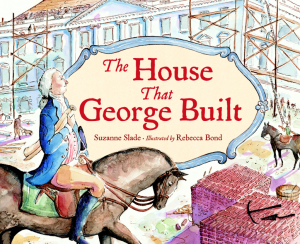 So instead of using a story narrative with a rising plot line, the author includes many students’ experiences which allows the book to share a wide range of information (types of offices people are elected to, how people vote, and important historical voting events.) 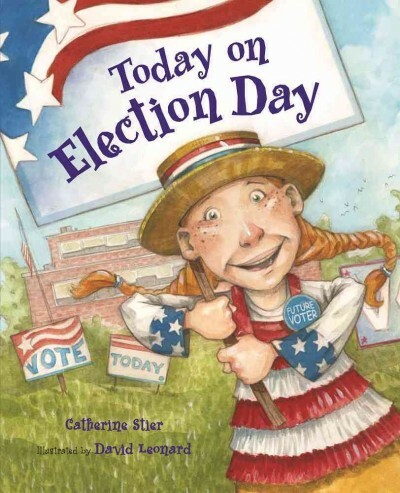 The broad scope of this title makes it a great choice for teachers and students who want to learn more about elections. Next up, Grace for President by Kelly DiPucchio, illustrated by LeUyen Pham. I loved this book right off the bat because the first spread is clever and engaging. In the first illustration students are gathered around a poster with all of the past presidents’ pictures. 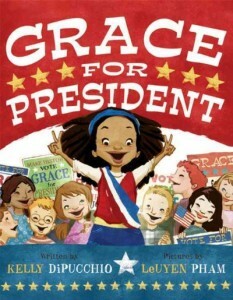 Then one little girl, Grace, steps forward and exclaims, “Where are the girls?” This simple, honest question makes a great springboard for the story that follows — Grace attempts to be elected the first girl president in the school’s upcoming mock election. This book demonstrates the power of a unique, clever device at the beginning of a story. My Teacher for President, illustrated by Denise Brunkus and written by Kay Winters, is absolutely brilliant! The entire text is a handwritten letter from one boy to a local new channel in which he explains why his teacher should be president. This title is terrific book for early readers because the boy’s letter shares the basic qualities that would make a great president and the word count is low. The letter format also provides some charming humor! I enjoyed comparing these three titles side by side and seeing the unique ways different authors tackled the topic of Election Day for different age audiences. Just goes to show, there’s always room for another book on a popular topic as long as the author comes up with an approach that hasn’t been done before! 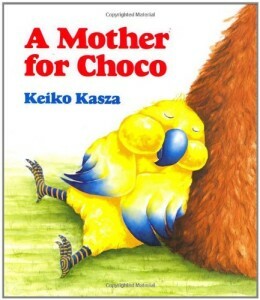 A Mother for Choco, Betsy Lewin, Catherine Stier, David Leonard, Denise Brunkus, Doreen Cronin, Duck for President, Grace for President, Kay Winters, Keiko Kasza, Kelly DiPucchio, LeUyen Pham, My Teacher for President, The House That George Built, Today is Election Day. Bookmark. So true! Thanks for sharing this comparison, Suzanne. Brilliant ideas and brilliant authors!! 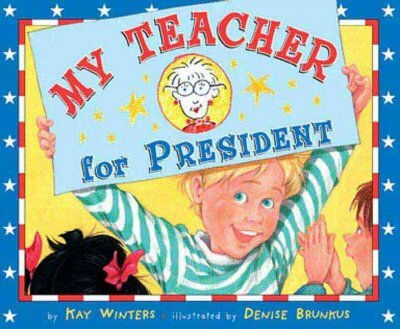 I want to get some of these books to share with my grandchildren for 2016’s elections….thank you! Great idea! I’m sure you’re grandchildren will love them! Nice way of showing three different approaches to the same topic. I love the way you showed the different strengths of each book and the way each book might be useful to a specific kind of audience or reading situation. Another fun example is Ben Clanton’s VOTE FOR ME! So true! Thanks for sharing that title.